Havaí GE & TA Tax ID # G / T 006-824-3456-01 Os impostos sobre o montante total é de 14,42%. Não incluído na cotação vrbo. Obrigatório é um contrato de locação assinado entre o hóspede e o proprietário. Este contrato de locação é adicional ao depósito. Depois de inicializar e assinar o contrato, ele deve ser devolvido para mim. Para estadias inferiores a 6 noites, há um valor de US $ 300. 00 Taxa de limpeza. 60 dias de cancelamento. Encargos pro nominal após 60 dias. 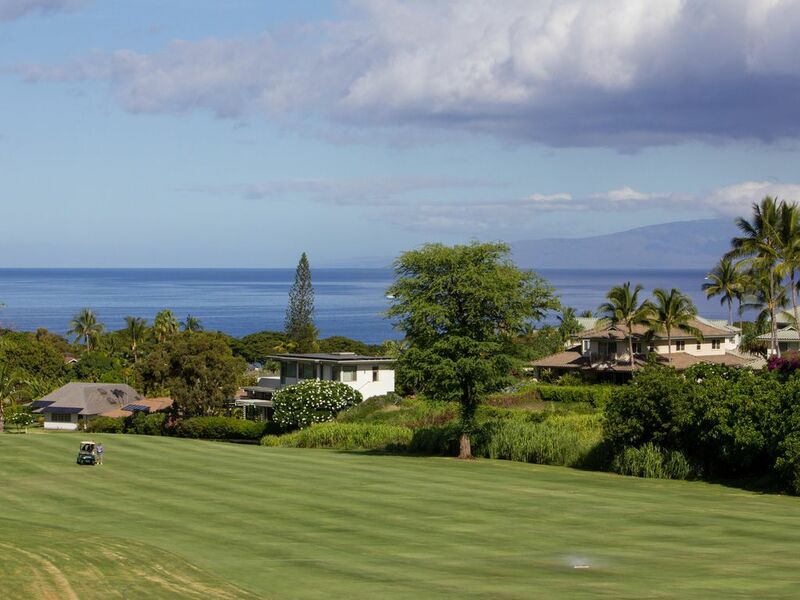 Este lindo condomínio de 1400 pés quadrados está situado em uma área de resort de classe mundial, com vista para o segundo verde do famoso Wailea Blue Golf Course. O condomínio está totalmente equipado com todas as comodidades imagináveis. Apenas relaxe no luxo! Maravilhosas praias, lojas e restaurantes de cinco estrelas estão a curta distância. Palavras-chave: Condomínio, segundo andar, sem elevador. We loved this condo! It had everything we needed and the location was the best! We will stay here again! We are so happy that you enjoyed your stay. We strive to provide an atmosphere of comfort and hominess. The place was very clean with great views. We watched the sunset from the green in front of the condo most nights. Breakfast on the Lanai was my favorite thing of the trip every morning the birds sing as the sun rises. Thank you so much for the nice review. We hope that you will consider staying with us again should you return to Maui. It was such a pleasure having you and Troy to deal with. We sincerely hope that your trip was everything that you were hoping for and more. We really want our guests to the best possible experience. Es ist wirklich eine wunderschöne, gepflegte Ferienwohnung in toller Lage. Die Vermieter haben die Wohnung so liebevoll eingerichtet und ausgestattet, extrem viel Beach-Equipment, Kühlboxen, Spielzeug, kinderbett, einfach alles da!!! Wir wären wirklich gern länger geblieben, weil man sich dort nur wohlfühlen kann! We really enjoyed our stay in this unit. It is well equipped and clean. We were 4 adults staying for a week and it was plenty of room for all of us. The views across the golf green to the ocean were lovely. The beach is walkable in about 20 minutes and there are lots more a short drive away. There is a also shopping and lots of restaurants close by. We enjoyed Monkeypod and Gannons and really enjoyed the luau at the nearby Marriott. Be sure to check out the irish band at Mulligans on Sunday Nights, they are a lot of fun. Overall I would stay at this unit again in a heartbeat, loved the unit and the area. The one criticism I would say is that the bedding could be improved. The sheet on the king bed was a bit short and in the other spare room, the pillows were flat and the blanket not very cozy. Other than that, loved our stay. I'm so sorry that we fell short on providing you with all you needed to make you stay perfect. I will speak to housekeeping about not making sure that the sheets were long enough. I'm also disappointed about the pillows. We try to make sure that there is a variety in each room. As for the cozy blankets, there were extras in the master bedroom closet on the shelf. Overall, I hope that you will come again. We appreciate your positive comments. Clean condo with everything we could want ready and waiting. Had a great visit and would choose this spot again. Thanks David. I hope you will think of us the next time you come to Maui! This condo didn’t really feel like a rental. We felt like a friend had loaned us the use of their vacation home. It was beautifully furnished and immaculate. The kitchen was fully stocked, both in terms of equipment and condiments. The bathrooms were also well stocked, with soaps, shampoos, cream rinses, etc. And there was a cupboard with additional supplies that looked like a mini Costco. A lovely gift basket awaited us on arrival, which we all thought was a nice touch. There was obviously great attention to detail here and Christine, the owner, was very easy to work with. Thank you for your lovely review. Be assured that we have and will take all of your recommendations into consideration.